As regulators continue to push the industry towards exchange-traded OTC products, what instruments are or become available? Why are the exchanges not jumping on CDS clearing? What are the real issues involved? Why do industry practitioners think UCITS are a disaster waiting to happen? What is the inherent conflict between the manager and the fund investor in a closed-end fund that may also play out in UCITS funds? 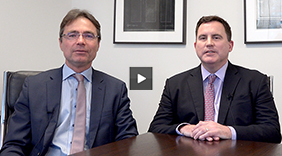 How can investors identify “good” UCITS? The regulatory changes on the way represent a paradigm shift in the industry, leaving many firms in a position they feel they “almost cannot move for fear of the regulator”. The discussed regulatory reforms appear like attempts to "introduce an air traffic control regime that operates by boroughs or counties”. Hear a candid analysis from Ian Plenderleith - now Chairman of BH Macro and a former member of the Bank of England's Monetary Policy Committee - about the “great failing” of the global regulatory framework, and which potential conflicts he identifies that nobody else so far has addressed or offered sensible solutions. The Roundtable also offers surprising insights into the reality of risk measurement and risk management of many hedge funds. While a lot of strategies manage risk and exposures based on “rules of thumb”, many funds active in more derivatives-heavy strategies often fail to measure risk appropriately. On top, there is a common mistake amongst portfolio managers to confuse cash usage of a portfolio with risk of a portfolio. The obvious problem is that many funds as a consequence trade strategies based on how much cash they have in the till as opposed to how much capital is at risk.